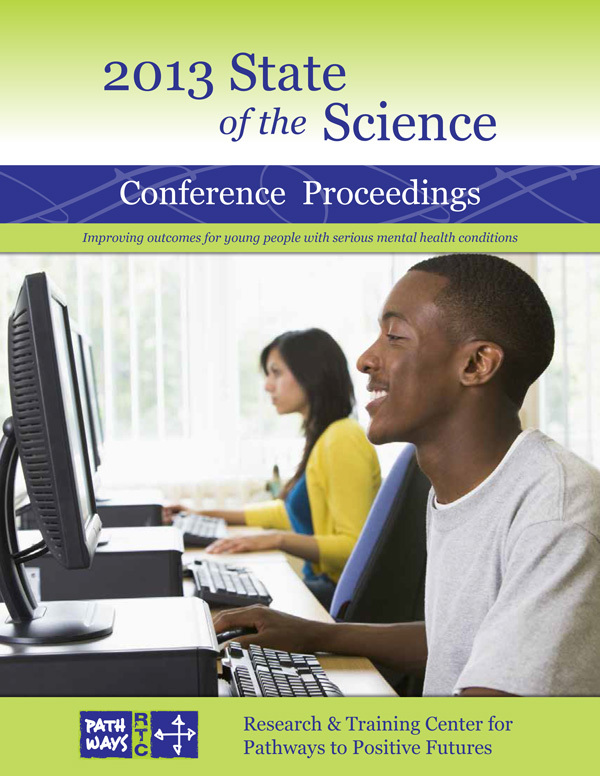 This proceedings monograph summarizes the events of the 2013 State-of-the-Science conference, which began with a review of the Pathways to Positive Futures model. The Pathways model is a positive development (PD) approach for working with "emerging adults" who have serious mental health conditions and related needs. The Proceedings describes the results of discussions among young people, family members, researchers and service providers at the 2013 State-of-the-Science Conference regarding how providers can work productively and effectively with young people who experience SMHCs. Background on the Research and Training Center for Pathways to Positive Futures is provided in this introduction. The Pathways to Positive Futures Model defines a positive development (PD) approach for working with "emerging adults" who have serious mental health conditions and related needs. The conference began with a plenary session that focused on providers' role in helping young people activate change in their lives. This session focused on identifying specific practice elements that providers use to help young people to activate changes they desire in their lives. Session 2 involved an examination of the ways in which the Pathways model might—or might not—work for young people belonging to diverse social identity groups. During this session, conference participants discussed sources of social support for young people and the needs addressed by social support. Session 4 focused on the agency supports, barriers, and needed changes that either promote or inhibit the implementation of a Pathways-like approach and the ability to effectively work with young adults. This session focused on: challenges can arise when young people and their families have different perspectives; the future of peer support; youth-provider relationships; and issues with systems that are oriented toward compliance. This section of the Proceedings reflects on conference participants' feedback and reception to the Pathways Model and other themes from the discussions.